It may only be April, but over 100 exhibitors are already booked in for next year’s Giving & Living trade show in January! It would also appear that it’s not only exhibitors that love the show. According to the post-show visitor survey that Hale Events, the show’s organisers, carried out, 77% of those who attended had been to the show before, with 23% making their first visit to see what was in store. If you’re considering exhibiting next year you might like to know that 87% of visitors placed orders at or shortly after the show. Whether exhibiting or visiting, it’s good to hear that 92% of visitors would recommend the show to a colleague or related business! Sharan Bettridge, Aunty Em's Gatehouse. Amy Warrick, Chocolat et Présent. Julie Fountain, Beach Art Glass. All the visitors who completed a survey were in with a chance of winning a hamper filled with goodies from Taste of the West and we’d like to congratulate Jenny Suttie from Dame Hannah Rogers Trust (Seale Hayne Gift Shop) who was the lucky winner. Jenny doesn’t attend any events outside of the region, and loved visiting Giving & Living. Not only did she win the hamper, which she is planning on sharing with her colleagues, but she also found both new lines and new suppliers at the show – so it was a very successful show all ’round! 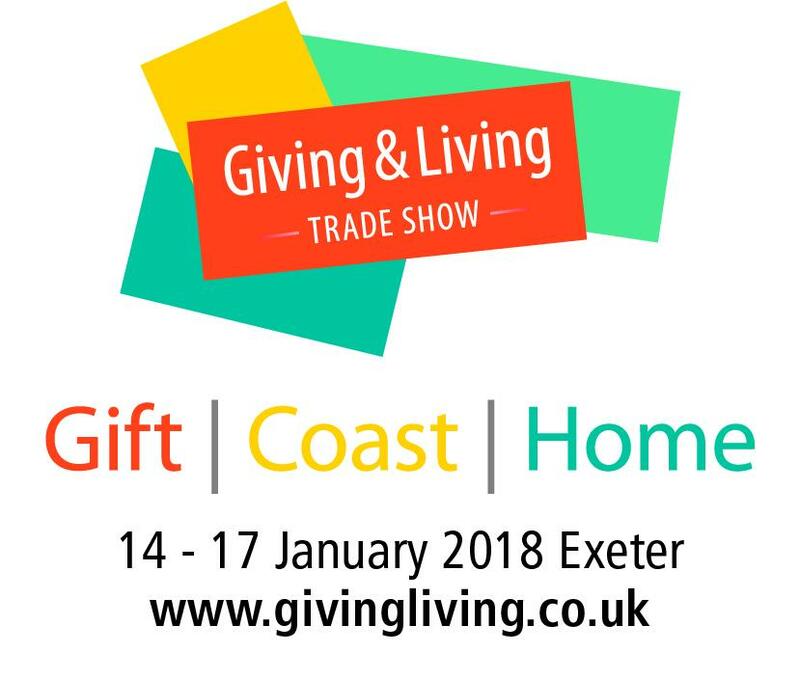 Next year Giving & Living takes place from Sunday 14th to Wednesday 17th January 2018 – why not put those dates in the diary now? Maybe you’ll be a winner next year too!